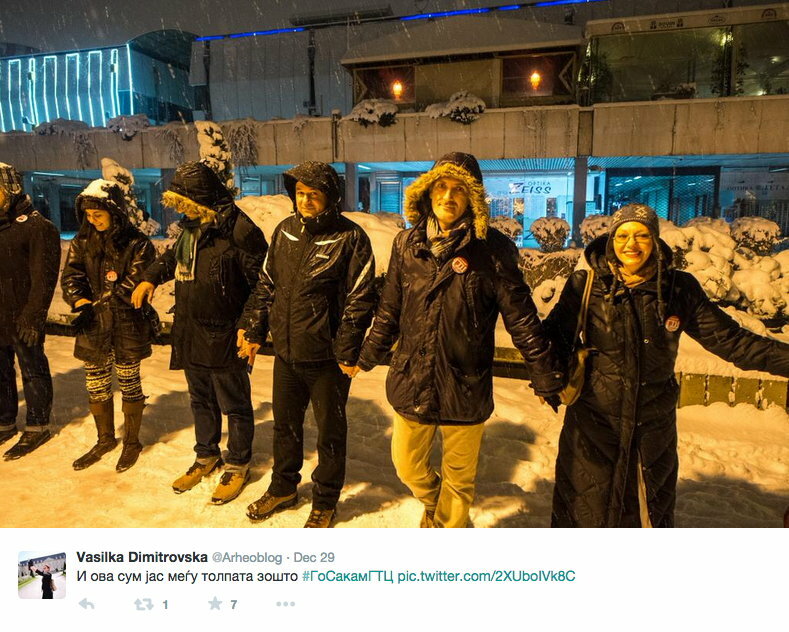 Two nights before New Year’s Eve, more than a thousand Macedonians gathered in the snow to hold hands and form a ring around a large shopping mall in the capital city of Skopje. That may sound like the beginning to some strange joke, but the crowd was assembled in earnest, to express its love of the modernist building known as GTC, and to protest a government plan to give it a new, baroque façade. “This is a crime against public space, culture, urbanism, and art — against the city and the citizen,” Miroslav Grčev, a professor of urban design and the creator of the Macedonian flag, told the BBC. 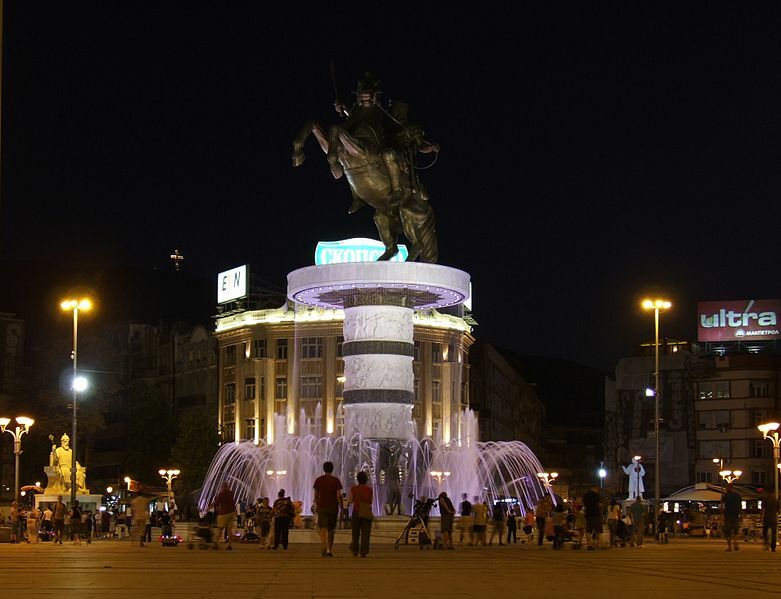 Skopje 2014 has also run up significant costs, with the government admitting last April that it had already spent €200 million (~$240.5 million); the budget was originally estimated at €80 million. And so, Macedonians gathered on December 29 to “hug” their modernist shopping mall, and to try and protect it from going baroque.